More than 2,000 people including dozens of ISIS fighters left the group’s final holdout in eastern Syria in the past 24 hours, a monitor said Wednesday. US-backed forces are waging a final assault on the area east of the Euphrates river and have provided buses to evacuate civilians and fighters trapped inside. “In total, 2,200 people have left in the last 24 hours, including 180 ISIS fighters,” the Syrian Observatory for Human Rights said. It said around 1,100 people, “mostly women and children as well as 80 ISIS members” had left in a convoy around noon on Wednesday. Travelling in private cars and buses provided by the Syrian Democratic Forces (SDF), they were headed for camps run by the US-supported group, Observatory head Rami Abdel Rahman said. The SDF, backed by air strikes from a US-led coalition, in September launched an offensive to oust ISIS. Abdel Rahman said over 20,000 people have fled the area since the start of December, including Syria, Iraqi, Russian and Somali fighters. 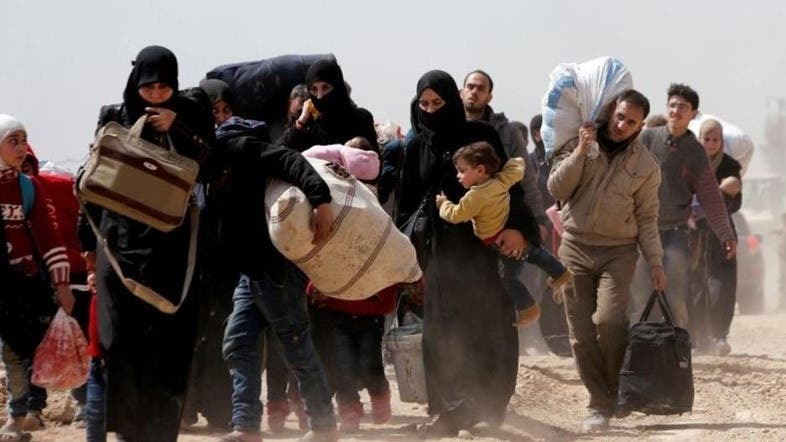 Abdel Rahman said the outflow of evacuees had accelerated in recent days, with some 5,300 people including 500 ISIS fighters leaving since Friday, when the SDF-run evacuations started. Thousands of people had already fled on foot before that. The SDF has captured multiple districts in recent weeks, but ISIS still controls the village of Sousa, where the Kurdish-dominated force has been preparing for a final assault. US-led strikes against the militant group’s final positions intensified on Wednesday. That came after a suicide attack killed four US personnel in the northern town of Manbij, costing Washington its worst combat losses in the war-torn country since 2014 as it prepares to withdraw.